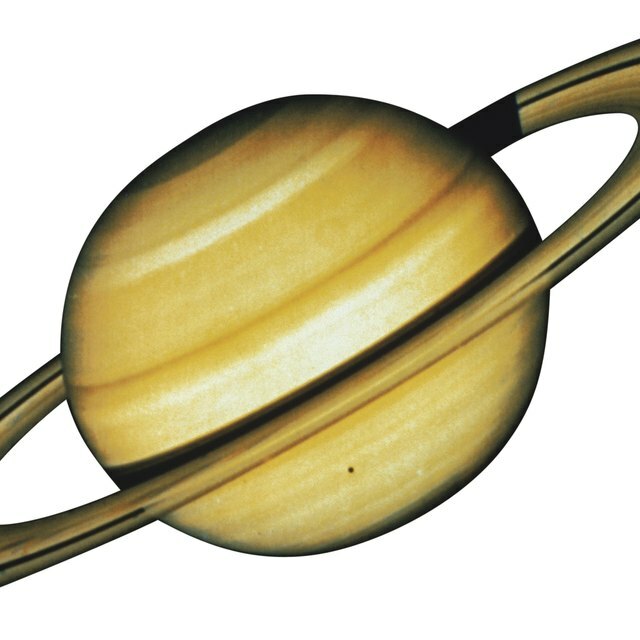 The gas giant Neptune was named for the Roman god of the sea due to its bright blue color. 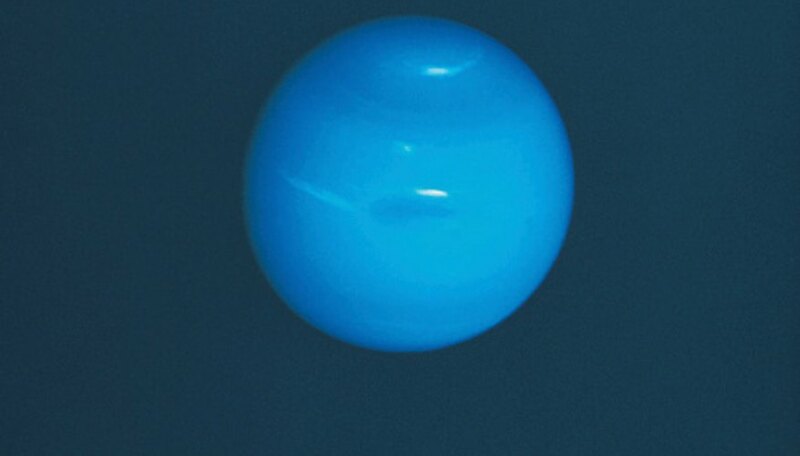 Although this coloration was later discovered to be an artifact of the methane in the outer atmosphere rather than water, Neptune possesses an atmosphere and mantle appropriately rich in water. However, Neptune's water does not collect in the sorts of lakes, rivers and oceans that we are familiar with here on Earth. The combination of Neptune's great mass, its tremendous distance from the sun and its lack of anything like a solid surface has some interesting consequences for water. The gaseous atmosphere of Neptune occupies the outer third of the planet's radius. Water exists in the atmosphere in the form of vapor and microscopic droplets or ice crystals. Although the temperature of the outer atmosphere at the cloud level ranges between 150 degrees below zero and 200 degrees below zero Celsius, some of the water is kept liquid or gaseous by the tremendous energy in the planet's storms. At a point about one-third the distance between the outer atmosphere and the core, the gaseous atmosphere becomes the mantle. Most of the same elements present in the atmosphere -- hydrogen, methane, ammonia and water -- make up the mantle but existing at higher temperatures and pressures. The pressures in the mantle prevent water from vaporizing or freezing, so much of the water exists as a liquid. However, deep inside the mantle, something strange happens: the water is compressed into a theoretical state known as superionic water, which acts somewhat like a liquid, somewhat like a crystal and somewhat like a metal. Although scientists have never directly observed superionic water, experiments are underway to create tiny samples in laboratories using particle beams. Scientists theorize the core of Neptune to be about the mass of Earth and composed largely of rock and superionic water. Although the temperature of the core is even higher than that of the mantle, the pressure exerted on the water should force the water to act more like ice than liquid water, even though the pressure and temperature are far too high to allow the water to freeze. Although Neptune has a great deal of water compared to Mars or Venus, it occupies a much different place in the mechanics of the planet. The clouds on Neptune aren't made of water, but ammonia and methane. Water is either too cold or under too much pressure to act as it does on Earth. Life, as currently understood by scientists, would have a great deal of difficulty making use of any of the water forms on Neptune. For this reason, there is very little serious scientific speculation into the possibility of life in Neptune's superionic oceans. Clay, Charles. "What Type of Water Forms Are on Neptune?" Sciencing, https://sciencing.com/type-water-forms-neptune-8218047.html. 24 April 2017.